When managed fleets consider adopting nitrogen tire inflation, the biggest question about the change is the return on investment. If we spend the money on a few nitrogen inflation carts and implement the process, then when will the machines pay for themselves? What benefits will the fleet specifically see from nitrogen, when air is already 78 percent nitrogen? The main benefit of nitrogen tire inflation is that nitrogen maintains proper tire pressure for a longer period of time than regular air, leading to whole host of other benefits to your fleet. To explain these benefits and how they impact your bottom line, we’re going to go through our money saving calculator and explain each section and how a fleet saves money with each section. The average fleet vehicle drives between 15,000 and 20,000 miles per year, but the average for your fleet may be higher or lower, depending on a variety of factors. Our money saving calculator needs this figure to determine the savings from the next three sections. To clarify, this number refers to the average number of miles for one vehicle in your fleet, since our calculator determines the savings based on one vehicle. It doesn’t not calculate the savings for an entire fleet, although that is easy to figure out once the calculator has the savings for one vehicle. Obviously, the more miles driven in a year, the savings your managed fleet could see from nitrogen tire inflation. Currently, the average price for a gallon of gas is $3.68. For diesel fuel, the average price is $3.88 per gallon. Nitrogen tire inflation improves your fleet’s fuel efficiency by maintaining proper tire pressure for a longer period of time. 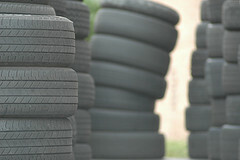 Proper tire pressure, by itself, increases fuel efficiency by three percent. Three percent doesn’t seem like a big deal, but multiply that across your 50, 1000, or 10,000 fleet vehicles driving on under-inflated or over-inflated tires, and your managed fleet is wasting money in fuel. According to the most recent statistics, the average miles per gallon for U.S. fleet vehicles is 23.2 mpg. The average for all cars in the U.S. is 24.6 mpg. If you happen to know the average miles per gallon for your fleet, or have a way to come up with that number, then use that number in the calculator. Otherwise, you’re welcome to use the average numbers that we have provided. 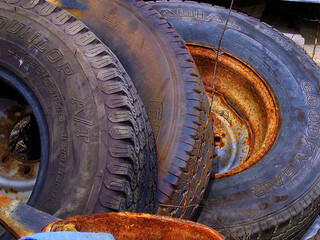 For a fleet vehicle that has four wheels (versus an 18-wheeler or any other specialized fleet vehicle), the cost of full set of tires is about $600. Besides the four tires, this price also includes mounting and balancing, disposal of the old tires, alignment and the valve stems. 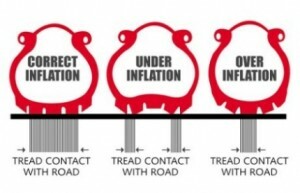 Since nitrogen tire inflation improves tire life and tread wear (because nitrogen maintains proper tire pressure for a longer period of time, so the tread wears evenly versus just the middle or the outer edge), a managed fleet gets more out of each $600 purchase. The tires last longer, so a managed fleet gets more value for its money. Because the tires last longer, the $600 purchase needs to be made less often. If we put the average numbers into the calculator to determine the savings with nitrogen tire inflation (20,000 miles, $3.68 per gallon, 24 mpg and $600), then the annual savings for one fleet vehicle using nitrogen tires is $150.09. For one vehicles, that’s not a whole lot, which is why we don’t focus on encouraging nitrogen tires in the consumer market (we won’t actively discourage it either, to be clear). But, for a managed fleet of 1,000 vehicles, then the fleet can save $150,000 using nitrogen tire inflation. That is a substantial amount of savings, especially when the fleet considers how much it is currently spending on tires, fuel, maintenance, safety and anything else needed to keep the each of the fleet’s vehicles running. Even for a fleet of 100 vehicles, where the annual savings would only be $15,000, is still the equivalent of a part-time employee. Implementing a nitrogen tire inflation program into your managed fleet may cost $15,000, but it certainly isn’t going to cost $150,000, so the return on investment is clear. Purchasing a nitrogen tire system is a big decision, and with that decision comes the process of getting started. This process can include educating and training employees, tracking your return on investment, additional maintenance checks, and watching for reduced costs in other parts of your organization. Getting started with nitrogen can be difficult, at least until all those aspects are worked out. Below is all the information you need to get you and your managed fleet started with nitrogen tire inflation: choosing a nitrogen system, implementing that system into your fleet, tracking your fleet’s carbon footprint, and how technology like nitrogen can reduce our country’s energy dependence and fix its infrastructure. 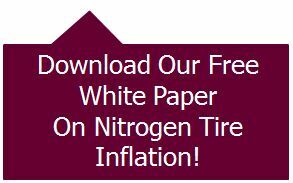 How to Implement a Nitrogen Tire Inflation Program into Your Fleet – Buying the nitrogen tire system is important, but more on that later. What you also need to know as a fleet manager is how to implement that system in your fleet, and change the behavior of your staff so that your nitrogen tires are most effective. This article outlines how to implement this program into your fleet and make nitrogen tires a tradition with your organization. 3 Effective Ways to Improve Fleet Safety – Improving fleet safety is huge toward the bottom line and the efficiency of managed fleets. Nitrogen tire inflation improve the fleet and driver safety, and is just one of the effective ways that you can put in place to day to improve your fleet’s safety. How to Choose the Right Nitrogen Tire System for You – There are plenty of nitrogen tire systems available with a variety of sizes and features. How do you choose the best one for your fleet? This article covers the factors that are most important to consider before making your final purchase. Managed Fleets and Ending America’s Dependence on Foreign Oil – Green technology like nitrogen tire inflation can end our dependence on foreign oil. Transportation fleets and the trucking industry doesn’t have to be the demons in America’s dependence on foreign oil, simply consuming energy to keep this country running. By utilizing green technology, they can be part of the solution as well. 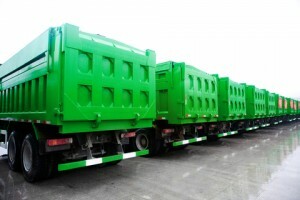 How to Track Your Fleet’s Carbon Footprint – In order to practice sustainable fleet management, you need to track your fleet’s carbon footprint and take steps to reduce carbon emissions. Tracking your fleet’s carbon footprint will allow you to know exactly what your carbon emission is and offer ideas on how to cut those emissions. You can’t improve what you can’t measure. Hybrid Tires and a Network of Nitrogen Services – Transportation accounts for almost 70% of the fuel consumption in the US. Nitrogen services can change that by turning tires into hybrid tires, and a network of nitrogen services can enable cross-country vehicles to top off their tires with nitrogen. They can also ensure consistent tire maintenance, no matter where a truck or managed fleet vehicle stops for a routine check. 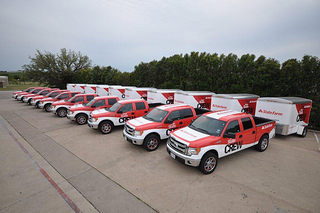 5 Great Fleet Vehicle Picks – Good fleet management includes picking the right vehicles for your fleet. After all, nitrogen tire inflation isn’t the only way to improve the sustainability of your fleet vehicles. Here are 5 great fleet vehicle choices that add to your bottom line. How the Cost of Carbon Affects the Trucking Industry – Climate change is much more than severe weather. It’s also about the economic costs that hit hard and affect everyone, as illustrated by the $65 billion in economic damages caused by Hurricane Sandy alone. Learn how the trucking industry can contribute to reducing climate change and the cost of carbon. The time of day with the highest rate of accidents is from 11 a.m.-12 p.m.
77.7% of accidents occur on clear, sunny days – This one doesn’t necessarily mean weather isn’t a safety issue. It could mean that many fleets avoid driving in severe weather as a safety precaution, or reduce the number of vehicles on the road. It could also mean that drivers get more cautious as the weather worsens, lessening the chance of accident because they are paying much more attention to their surroundings. Reducing costs/increasing revenue is one of the biggest challenges facing fleet managers. It’s a constant struggle as some of these costs and revenue sources, such as fuel costs, are outside your control. The economy can also make a big impact, affecting the overall business climate as well as the willingness of customers to continue services. Improving revenue and/or reducing costs could also mean targeting a specific problems, such as improving driver productivity, improving driver retention, lowering insurance costs, and improving route efficiency. Overall, improving the bottom line is a balancing act where everyone needs to be kept happy as initiatives are put into place. You may want to reduce vehicle acquisition costs, for example, but you also need to purchase vehicles that your drivers will like to use. 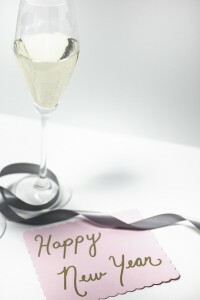 You also don’t want to invest in an initiative that doesn’t equate to savings, or recoup its investment fast enough. The most effective way to improve your carbon footprint is to work on your fuel efficiency. That’s what Midwest retailer Meijer did, and credits its 60% carbon footprint reduction to fuel efficiency and the implementation of the EPA’s near-zero emission standards. Because of these efforts, Meijer is now the largest all-clean diesel fleet in North America. Fuel efficiency isn’t the only way to improve your carbon footprint. If your fleet is growing over the next 12 months, then you can consider great fleet vehicle picks such as hybrid or electric vehicles as they would reduce your footprint. 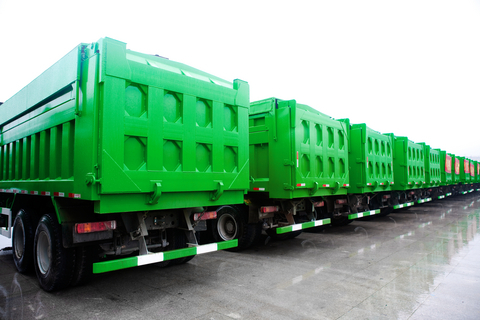 Your fleet could also start by coming up with metrics to measure your carbon footprint. You can’t improve what you can’t measure, and unlike safety and revenue, the carbon footprint doesn’t easily come with data and indicators to show you who well you’re doing. Although there are many ways to meet these resolutions over the next 12 months, there is only one way that can accomplish all of them: nitrogen tire inflation. Putting nitrogen in your tires improves safety and compliance by keeping tires at proper pressure and tire for longer periods of time. This decreases the chances of a blowout. Having tires at proper tire pressure for longer periods of time improves your bottom line by reducing your fuel and maintenance costs. You’re no longer wasting gas and reducing tire life because your vehicles have under-inflated tires. Nitrogen tire inflation also improves your carbon footprint because there will be fewer tires in landfills and less gas used in the long run. All of that is great for the environment. To improve fleet safety, you not only need to train your drivers and encourage best practices, but you also need to recognize the unique risks and challenges that young drivers pose, especially inexperience. With managed fleets, young drivers may sometimes be driving vehicles that they don’t have a lot of experience handling, even if they may have a clean driving record and the right certifications. Worldwide, traffic fatalities are the leading cause of death for 15-24 year-olds, but a survey from the United Kingdom found that almost a quarter (23%) of respondents did not know what proportion of their vehicle collisions involved a young driver. What makes this statistic more troubling is that young drivers are 26% more likely to get into a crash than their older counterparts. 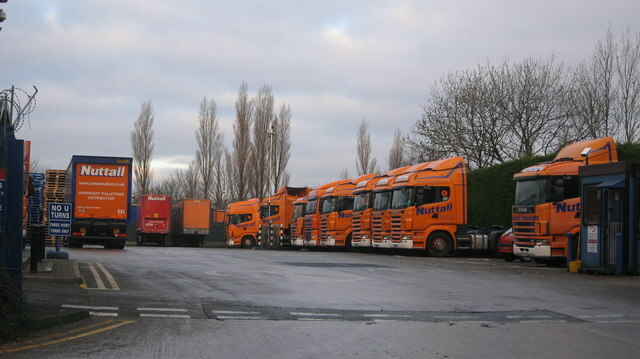 Managed fleets that do not record and maintain this information are unable to assess and mitigate their risk. The GE survey found that the number one concern is specifically driver safety, not just fleet safety. 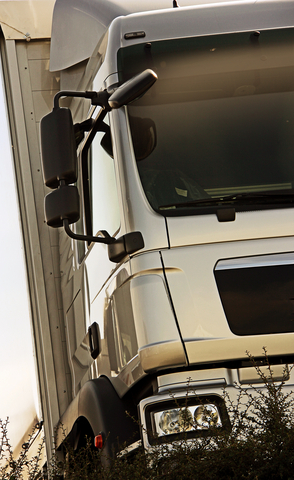 This means that improving driver and fleet safety isn’t just training and tracking risk, but ensuring that your drivers can always know what the policy is. That’s where a driver policy checklist can come in. Your driver policy can contain information on cell phone usage, traffic violations, safety guidelines, revocation of company car privileges etc. It’s meant to be a go-to source for all information relating to their use of a company vehicle, including ordering and maintenance. So that a driver policy is most effective, it needs to be somewhere readily available, such as in every vehicle and/or posted in the office. If you already have a driver policy in place, then it would be a good idea to review it and to make it more readily available for your drivers to refresh their memory. It’s tough to move in the right direction when you don’t have the data to indicate which direction is the right one. 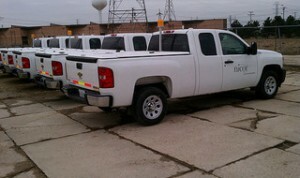 With GPS fleet tracking technology, you have the capability to do more than just know where your vehicles are located. You’re able to learn the driving habits of your employees, track who has a tendency to speed and who exhibits aggressive driving behavior. This information helps you to know which driving behaviors to target and what kind of safe driving policy you need to uphold. This not only mitigates risk, but it also educates drivers on these habits and protects them from non-commercial drivers who aren’t driving safe. Having the data and having the policies could also protect you and your managed fleet in case of an accident or a customer complaint. Improving fleet safety is a matter of driver education, vehicle maintenance, and utilizing technology for data on what needs to be done. Improving fleet safety effectively involves knowing the loopholes in your managed fleet in your organization and taking action on those loopholes. The American trucking industry is one of the most vital industries in the country, but also an industry that almost goes unnoticed and unspoken. Over three million trucks are registered in this country, using over 52 billion gallons of fuel of every year and transporting everything we need, from food to furniture, from tobacco to automobiles. This neat infographic from uShip outlines the numbers behind the trucking industry, showing how crucial trucks are in keeping society functioning, and in fixing our transportation and energy woes.